Mr. and Mrs. S visited LST salon the other day. They got married with our service six years ago and we have been in contact since then. 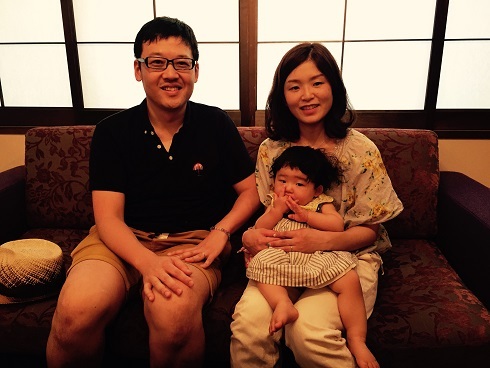 Their daughter, “Wakana” will turn 1 year old soon. It was the first time for us to see her, a new member of a family of four. She is a cute girl with her father’s eyebrow and the eyes of her mother. They were a bit surprised when I said “I still keep my portrait you gave to me, and display it at home”. 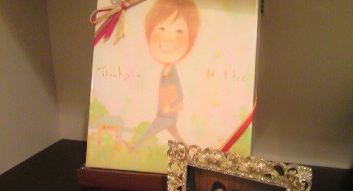 Those lovely gifts and happy memories with them gave me a lot of courage until now. It is a great pleasure for me to see the couple got married and then built a family over the years. We’ll welcome your call saying “We are now very close to your salon…” any time. Thanks for visiting us in the heat!